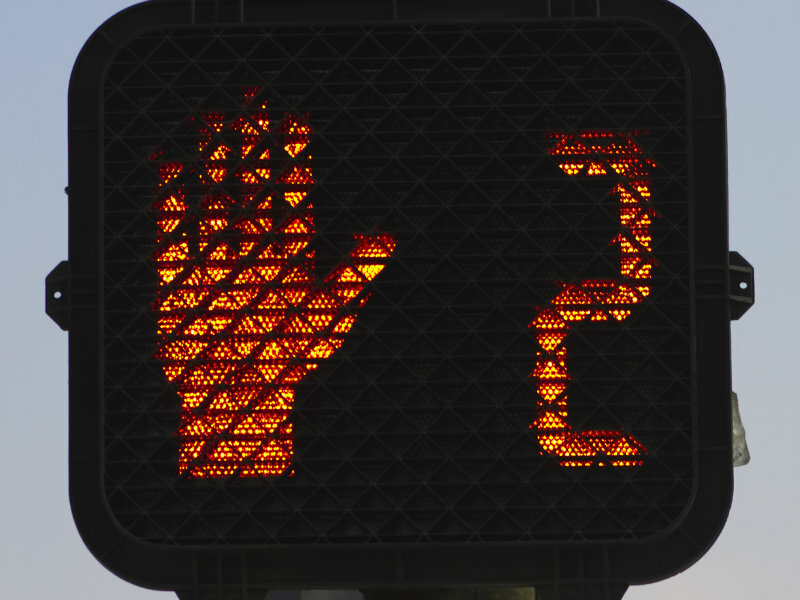 It will no longer be illegal to begin crossing the street in California when the orange “Don’t Walk” hand is flashing. That’s under one of 37 bills Gov. Jerry Brown signed on Monday. The measure comes with two conditions: The sign must display a numbered countdown and pedestrians must reach the other side of the street before that countdown ends. Brown also approved a measure that cracks down on the University of California system, after the state auditor accused the Office of the President of interfering with an investigation. UC campuses can no longer confer with the office when answering the auditor’s requests. And the governor signed off on the final piece of a major overhaul of the state Public Utilities Commission, after it stalled last year. The bill removes much of the commission’s responsibility for overseeing the transportation industry and transfers that authority to other state agencies. It does not reassign oversight of transportation network companies such as Uber and Lyft, however. Supporters, including consumer attorneys and retiree groups, argue those measures have not prevented destruction of records, allowing nursing homes that have abused their residents to escape without consequence. But nursing homes, insurers and the California Chamber of Commerce opposed it. Opponents said the bill should allow a judge to decide whether using the lower burden of proof is justified, rather than imposing it automatically. A former Olympic trial competitor and a national champion can cross the street faster than most pedestrians, and now they'll have more windows to do so.